Wow, we can NOT believe we are already through our first year of blogging, it’s been 12 months since our very first post. 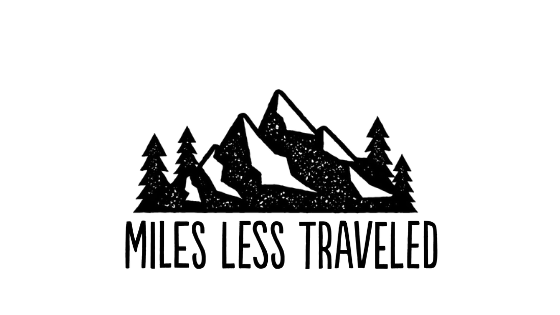 Miles Less Traveled turned 1 in July, and the date passed by us without us even noticing–hello life in the mid-summer working while working multiple jobs. Once we did catch up to it, we realized we have not stopped to take this all in yet. This year has been both absolutely crazy and also filled to the brim with joy. There were months that felt painfully long–like March, for example, when we arrived to a fierce winter season at home after traveling for so many months–and ones that felt shockingly short. We have changed our idea’s around the blog only to change them right back again. This year has been a year of us finding our voice not only as bloggers but also in so many aspects of our lives. We have learned more about who we are as writers, yes, but also as friends, travelers, and partners. This has been a time of immense change in our lives. Over the last 12 months, our marriage has grown, our blog has grown, and our life has become so much richer. In this last year, we have traveled around the world. I almost lost it completely when we were able to spend a full 24 hours with elephants in Thailand, the U.S.A. almost lost Joe completely when he spent 5 weeks living his best life in Italy, and we both fell in love with the magic of spending our honeymoon on an island off the coast of Vietnam. And while those moments made for the most fun stories and vibrant memories, they are not the ones I reflect on the most. The memories from our travels that I think about often are the little ones that never made it to social media or the blog. Like spending hours waiting for a sunset with no cell connection, just chatting with Joe. Or finding water so clear my usual non-water-loving husband spent the whole day in it with me and the train rides in Asia where the windows went down. The hot air blew over us once the train was in motion making it too loud to talk. Instead, we simply sat next to each other and watched the country go by. These memories are so sweet to me they make my heart downright ache. These past 12 months of writing for MLT have been some of the best months of my life, and I count it as such a gift that we are able to share what has made these months so special here. It has certainly been a year of growth for the blog, but also one of many, many learned lessons–also known as many, many failures. There were days, weeks, and even months that felt so discouraging that I debated giving up. Yet somehow, these were always followed by times of extreme motivation, dedication, and miniature successes. Ultimately, I have learned that I love running Miles Less Traveled enough that even when no one is reading–and trust me, sometimes it feels like no one is–I keep working at it. Of course, I hope it will succeed, but it has already fulfilled me so much more than any other career I’ve ever had, and that is something I cannot place a value on. I used to hate writing, it felt forced, something that I should only be doing if it was mandatory for school. I do not think I have what I think of as that poetic sense of words and expression. More than anything, I try to get to the point as soon as I possibly can. So, of course, I was incredibly nervous when Alicia and I took on this endeavor of starting Miles Less Traveled. And you know what? I am beginning to think I am actually good at this whole writing thing. It feels so much easier and so much more of a joy rather than a chore. MLT has opened up my eyes to how important it is to always tell your story, and that we truly do live the most amazing lives. Clearly, our time traveling the world for five months was the inspiration for this site. And I cannot say enough, that trip was the most incredible experience of my life. We saw and experienced so much, and more than anything, I feel like I found comfort in being outside of what is typically my comfort zone. Climbing a volcano, driving in a campervan for two weeks, and running through Angkor Wat are things that I never thought I would ever do in my life, let alone enjoy. Writing has made me appreciate every moment because now, we get to relive it by sharing it with the world. Even though this may not have come naturally to me, I know there is no doubt in my mind that I’ll keep doing this for as long as I can. Don’t you worry, more pizza/noodle boomerangs to come people! Mine: Best Food around the world. This post took me FOREVER to write but was so fun. I was able to relive all of the delicious food we ate during our five months abroad, and because it’s such a long post, it made me appreciate how fortunate we were to get to go to all of these beautiful places as well. Alicia’s: Cambodian pepper crab. This day was so special to us, we just wanted to eat some delicious food and ended up spending a day with a Cambodia local who took us under his wing and showed us everything about Kampot. I’ll never forget this day or this post! Alicia: MLT had some awesome posts in the last 12 months, some of which I feel truly proud of. Mine: A favorite of mine that I wrote is a reflective piece on what it felt like traveling long term. I am a storyteller by nature and tend to hover more on the heavier end of the emotional spectrum, so I naturally gravitate towards writing that represents that. This piece felt the most “me” of any I wrote this year. Joe’s: He wrote a bunch of really amazing posts this year, but my absolute favorite was the one he wrote on Phu Quoc. Partially because I loved that part of our trip, but also because I think he did a great job recounting every aspect of it, not just the fun part. By starting, managing, and expanding the website ourselves, we’ve learned so much about everything blog related. Yet, there is still so much more that we discover each and every day. The biggest thing we have learned through all of this, patience. There is so much frustration each and every time we log on to work on the blog, but there is that sense of “we can do this” whenever we accomplish yet another difficult task. The difference between this blog from one year ago to today is so incredibly drastic, it looks like a real site now. And you know what? We cannot wait to see what it looks like another year from now when it’s even bigger and better. We are a small blog, but it is our hope that what we are producing is big enough to overshadow that. As MLT’s audience continues to grow and change, we will continually evaluate what is the most useful and beneficial to you all. Thank you for being along for the ride, the continued support, and for sharing a love of the many miles less traveled around the world.